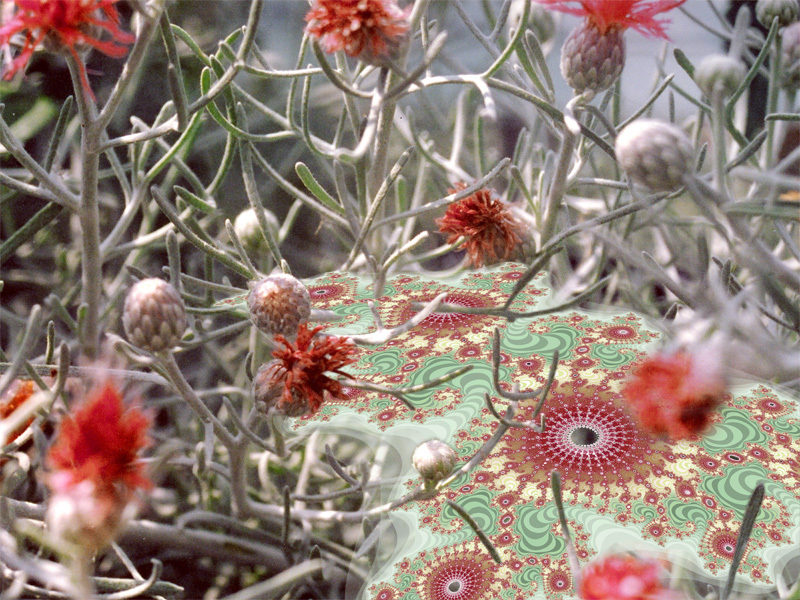 These prints are a mix of photography taken at the Royal Botanic Gardens at Kew and high definition ‘fractal’ graphics generated on a computer. 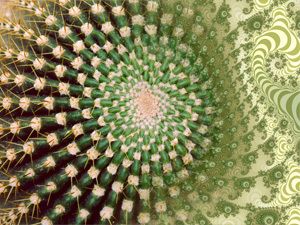 The plants and fractals share a lot of historical attributes even though they were never historically linked together. The Fractals and the taxonomy of biology displayed at Kew where both developed well before the invention of the computer, and even though plants and fractals are extremely different things (one natural the other abstract and mathematical) they both captured the imagination of scientists and mathematicians of that era. 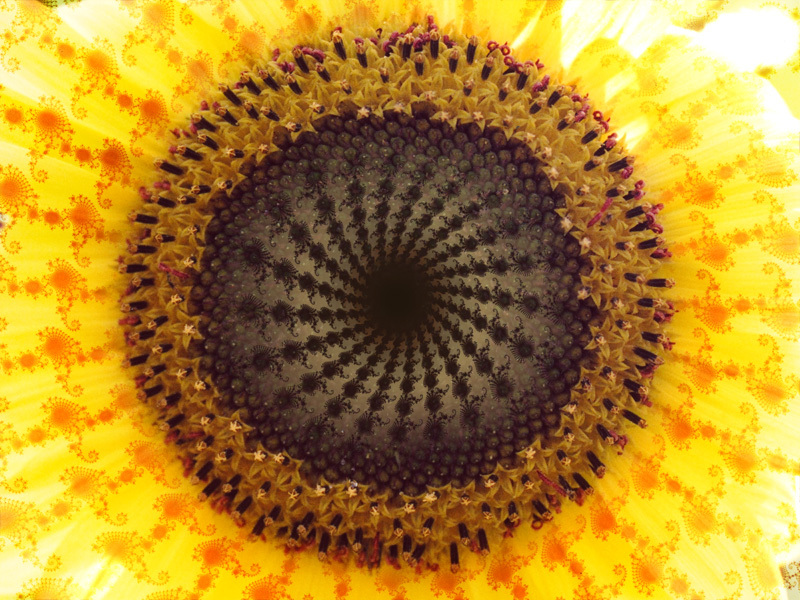 This illustrates how what we are doing now in the modern world of computer technology and networks can be put into context when examined as the conclusion of the ideas of mathematicians and biologist from a bygone era that first set out to understand complexity. We are effectively finding a way of bringing together the abstract mathematical (computers) and the physical (social networks), creating a new place that combines both of them. 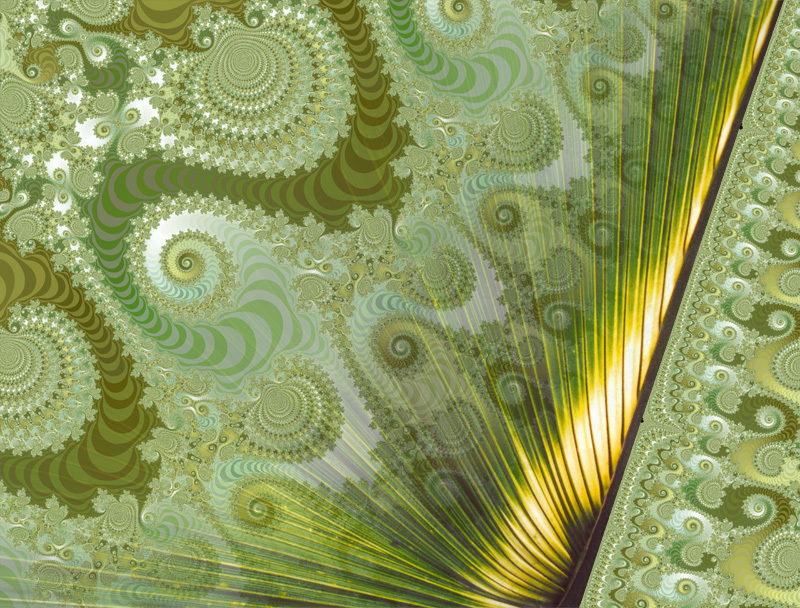 Mix of a photograph of a fern leaf taken at the Royal Botanic Gardens at Kew and computer generated ‘fractal’ graphic. 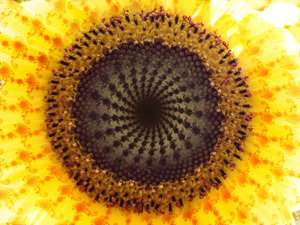 Mix of a photograph of a sunflower taken at the Royal Botanic Gardens at Kew and computer generated ‘fractal’ graphic. 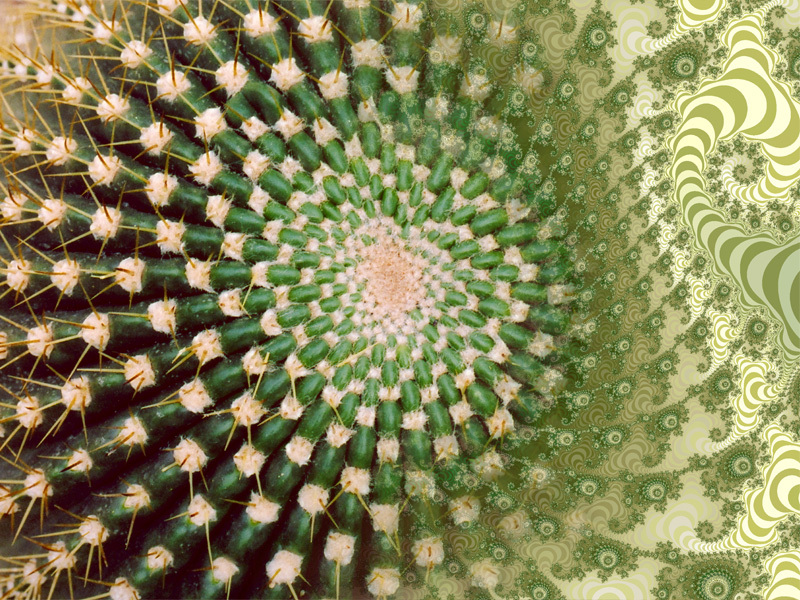 Mix of a photograph of a cactus taken at the Royal Botanic Gardens at Kew and computer generated ‘fractal’ graphic. Mix of a photograph of flower buds taken at the Royal Botanic Gardens at Kew and computer generated ‘fractal’ graphic.